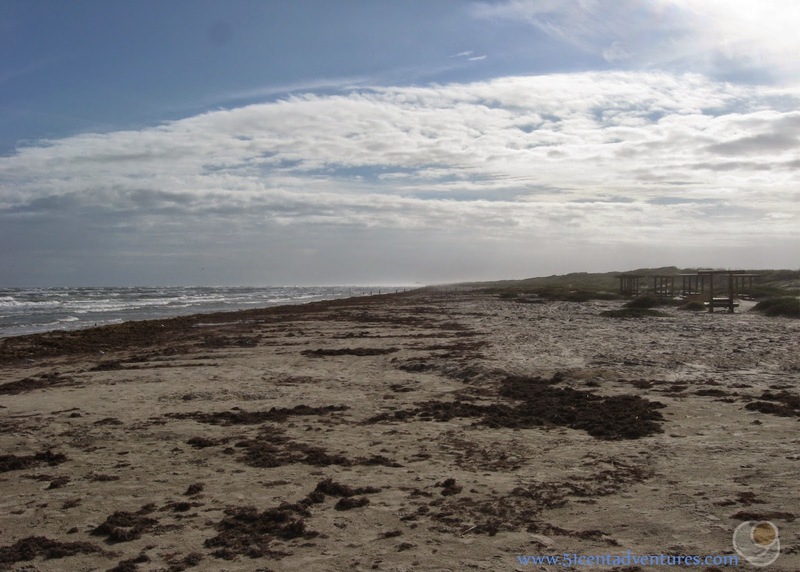 Description: This beach is a haven for visitors who want to see the undisturbed version of the Texas Coastline without driving too far from civilization. Location: Mustang Island is one of the islands that creates a barrier between the Gulf of Mexico and Corpus Christi Bay. By car it is about 25 miles from downtown Corpus Christi. Cost: Entrance fee is $5 for anyone older than age 12. Camping fees are $10 for a primitive site on the beach (non-reservable), or $20 for a site with water and electric hookups in the campground. Operating Seasons and Hours: Park gates are open daily from 7:00 am to 10:00 pm. Visitor Center closes at 5:00 most days. 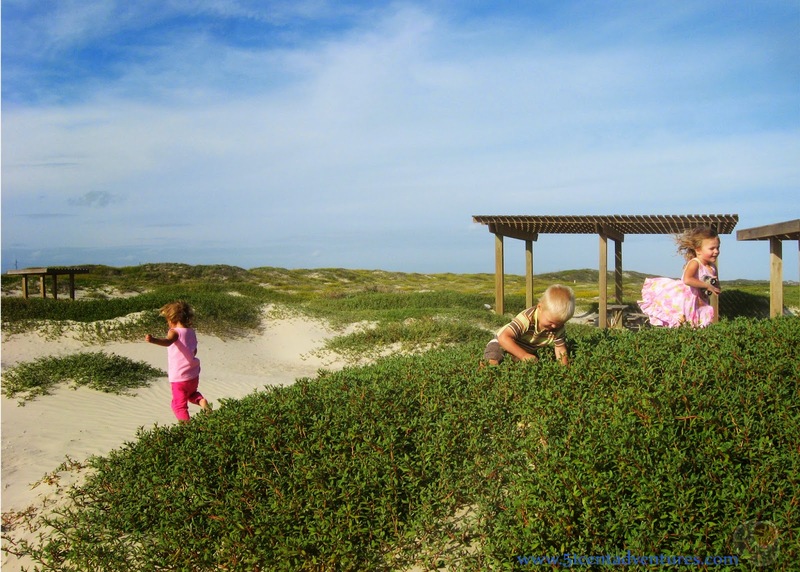 This was the third stop on the third day of the Texas Coastline Road Trip that my husband and I took our kids on in November of 2014. We left Corpus Christi's North Beach, crossed back over the Harbor Bridge, and then drove along the edge of the bay on Ocean Drive. 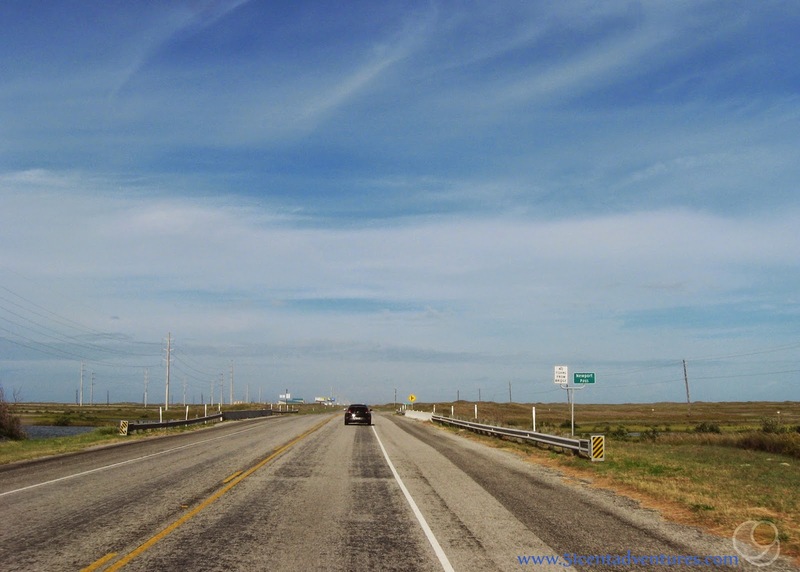 When Ocean Drive ended we turned south, and got onto Texas highway 358 which took us east to the barrier islands over the John F. Kennedy Memorial Causeway. After we crossed the causeway we were on Padre Island. 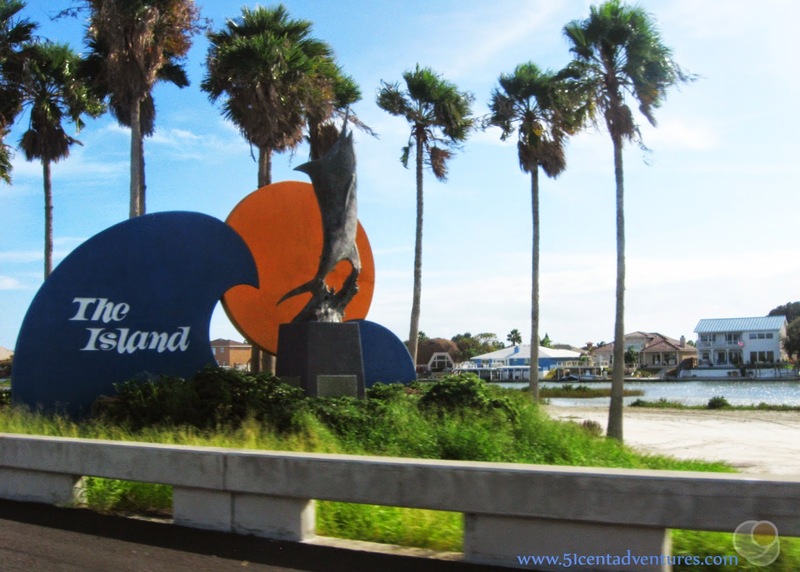 Padre Island is a long island that stretches 114 miles from Corpus Christi to South Padre Island. 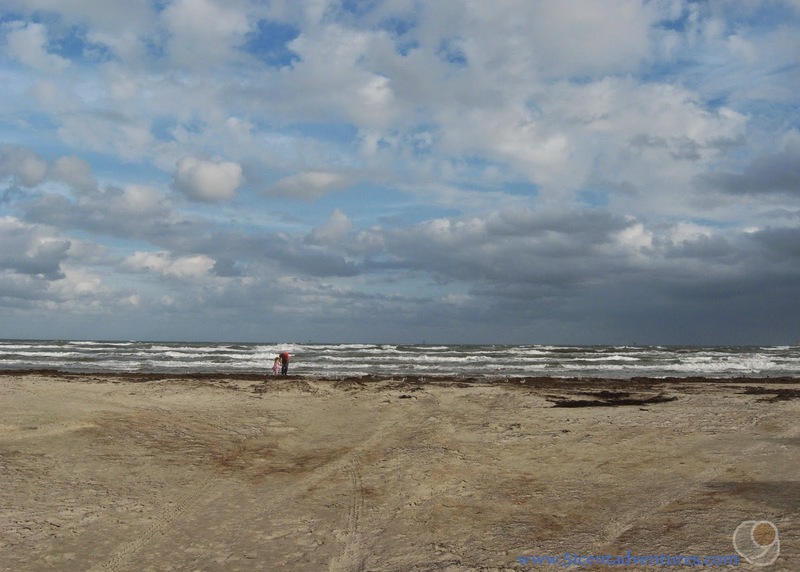 It is separated from South Padre Island by the Port Mansfield Channel. There isn't a bridge or other way to cross between the islands. The bulk of the island is designated as a National Sea Shore. However, the northern part of the island is a thriving beach community with homes and some stores. 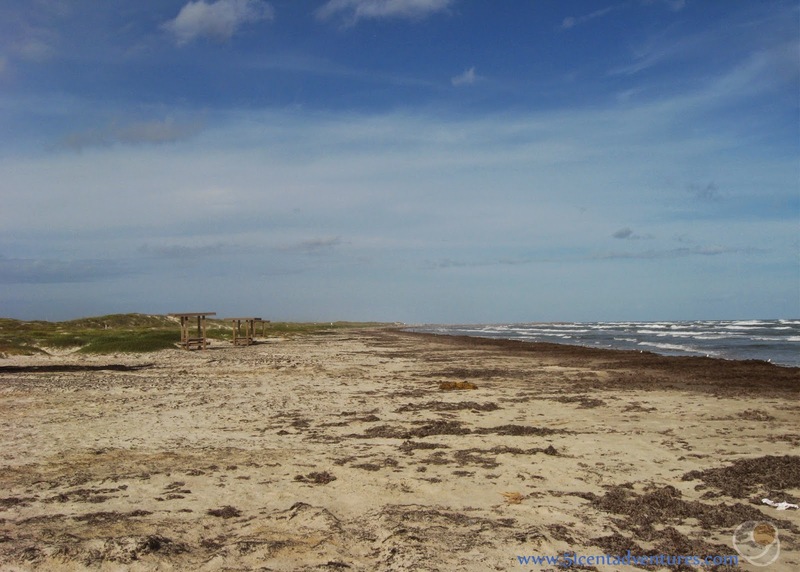 Entrance to Padre Island National Seashore is only $10 and free with an America the Beautiful Pass, so we could have gone there. However, that would have been back tracking our route slightly. Instead we turned north and drove to Mustang Island. I expected Padre Island and Mustang Island to have some sort of distinctive feature separating them. However, there was just a small stream of water running between the two islands A typical looking bridge ran over the water. If it wasn't for the sign that said "Mustang Island" I wouldn't have even known we'd crossed onto another island. 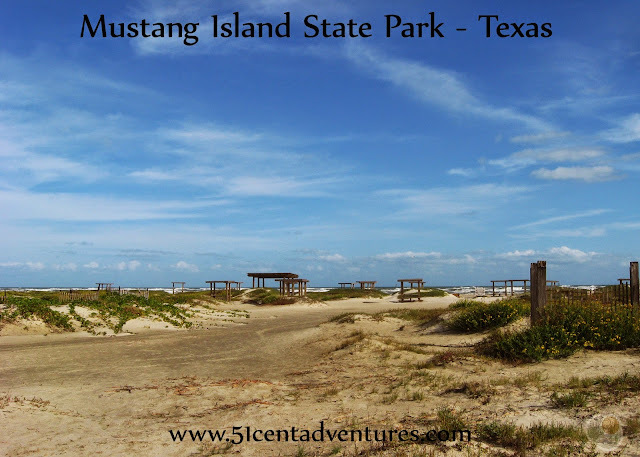 Mustang Island was our first stop at a Texas State Park for this trip. That meant we had to stop at the Visitor Center and purchase our State Park Pass. For only $70 my family was granted unlimited access to over 90 parks throughout the state. I'd added up the fees for all the places we planned to visit on this trip, and they came up to about $65 so this pass was definitely worth it for this trip alone. We also used it a few times after this trip. We would have used it even more, but we ended up moving out of state before our year was over. Getting the pass took a few minutes, and then we were able to drive to the beach parking lot. My kids had fallen asleep during our ride, and so they were all rather reluctant to get out of the car. I went ahead of everyone and took some pictures of the beach. I'd picked this location because the Texas State Guidebook said that is was a good place to see wildlife. There were many birds flying around including lots of pelicans. I was impressed by how peaceful the beach was. North Beach in Corpus Christi had been a busy city beach. Mustang Island on the other hand seemed to be a place that time forgot. Gradually my kids woke up and wanted out of the car. As with every other beach we visited on this trip the kids didn't want anything to do with the water. Instead my husband found some toy trucks and buses in the car and let them play with those. This was another of the great ideas he came up with to help our kids have fun at the beach without getting into the water. My girls had fun driving the cars all over the bluffs. This is one of my favorite pictures from our vacation. I love how you can see how much fun my children were having at the beach. I was fine with the kids playing in the sand. The shore was really far away and covered in seaweed and so playing in the water didn't seem like it would be very fun anyway. 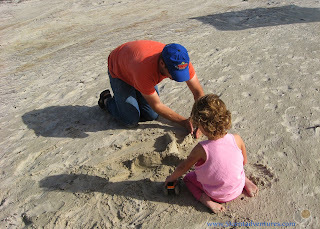 My husband coaxed one of the girls down to the shore. The two of them seemed like little dots. This is what it looked like to the south. The park has over 5 miles of shoreline and there aren't any buildings to be seen. The park has a camp ground that is located away from the shore. Beach camping is also an option at this state park. I'd briefly considered camping on the beach with my family, until I remembered that my family consisted mostly of pre-schoolers. Camping right next to the water seemed like a disaster waiting to happen. Then I started playing with the idea of camping at one of the tent spots in the camp ground, but I had concerns about how little shade was available at the campground. I figured that our magical beach vacation could very easily turn into "that week we all got sun burns and heat stroke." I ended up booking us a campground at Goose Island State Park which had plenty of shade. Since Goose Island State Park was still about 40 miles and a ferry ride away we had to leave Mustang Island earlier than we wanted to. My kids were very sad to leave. One of my four year olds said, "I want to keep playing on the sand that looks like snow." My husband and I assured her that we would play at other beaches on this trip. That was enough to get her to reluctantly leave. There were little rinse showers located near the parking lot so we were able to get the sand off our bodies Then we bid goodbye to the beautiful island beach. 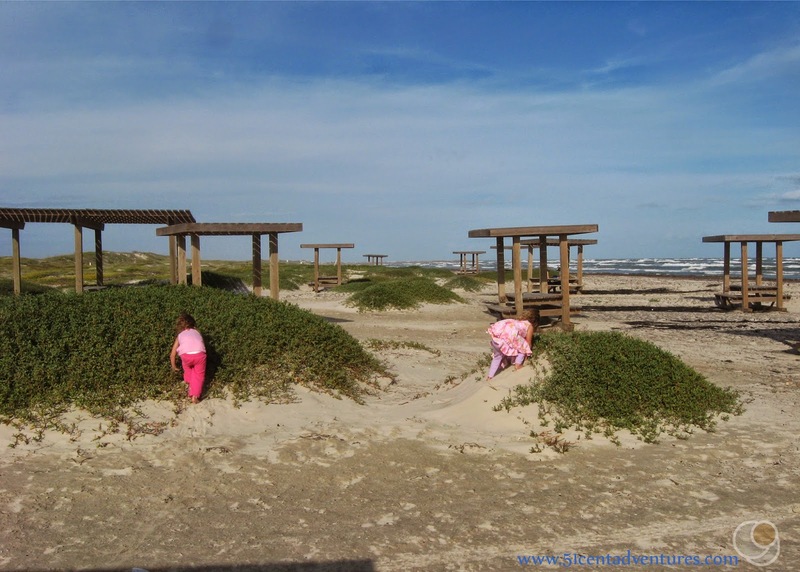 Recommendation: If you are in the Corpus Christi area and want to see an unspoiled natural beach then Mustang Island State Park is the place to visit. Directions: Mustang Island State Park is about 25 miles East of Corpus Christi and 15 miles South of Port Aransas. 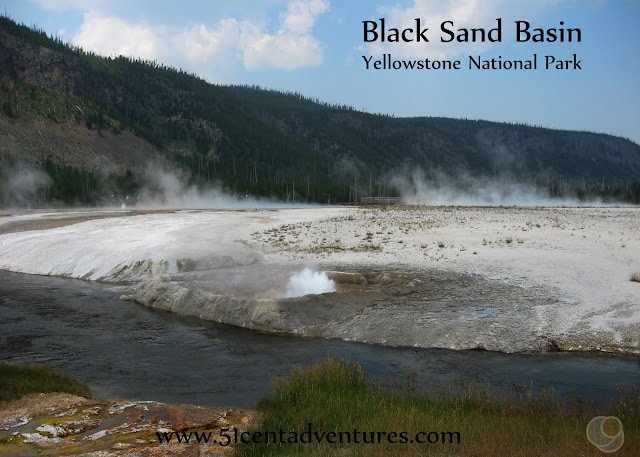 The entrance to the park is located on the east side of Highway 361. There are plenty of signs to guide you. 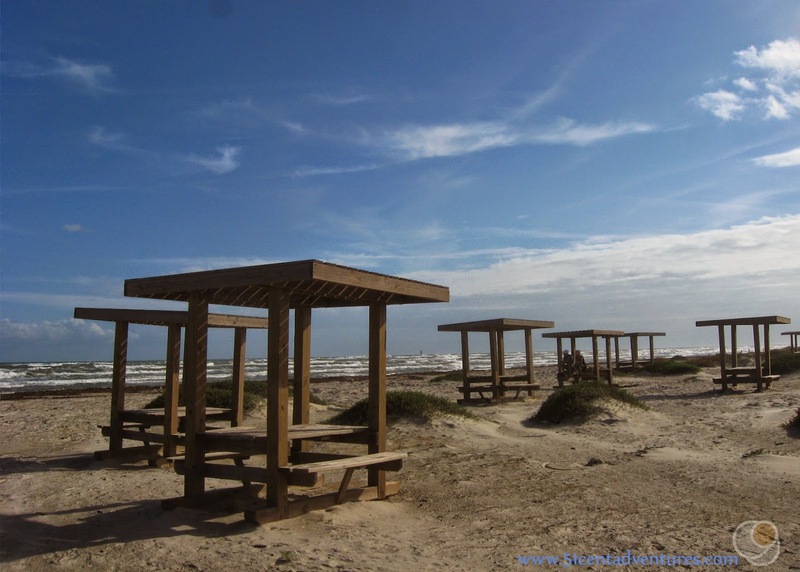 Places Nearby: The Corpus Christi Navel Air Station and The Corpus Christi Army Depot were on my list of places that we would visit if we had time. The Army Depot is the the largest helicopter repair factory in the world. My husband is a future helicopter pilot, and naturally I thought this would be a great place for us to visit. My Texas visitors guide said that the facility offered tours. However, both numbers that were listed in the Texas Guidebook were incorrect so I couldn't get any information for how to take a tour. All the kids were asleep when we passed by the area so we probably wouldn't have gone there anyway. You can read about the Army Depot here, and maybe you'll be lucky enough to figure out how to take a tour.